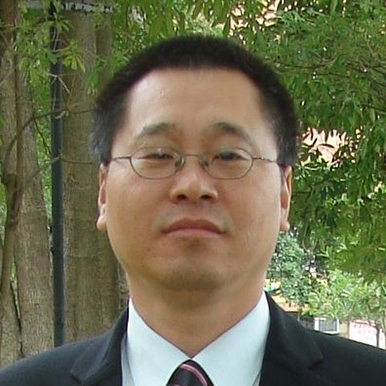 Dr Sun is a Professor in Medical Imaging at Curtin University, Australia. He gained his M.B and PhD degrees in clinical medicine and medical imaging, respectively, from Harbin Medical University in China and University of Ulster in UK. He worked as a radiologist in the department of radiology at Peking Union Medical College Hospital for 9 years prior to taking up one-year medical fellowship during 1998-1999 in Japan. His research interests include diagnostic imaging/radiology, 3D medical image visualization and processing, and hemodynamic analysis of cardiovascular diseases. He has published over 150 refereed journal papers in medical/medical imaging journals. He is serving as an associate editor for Journal of Mechanics in Medicine and Biology, Journal of Medical Imaging and Health Informatics, and Journal of Medical Radiation Sciences, and an editorial board member in more than 20 medical and medical imaging journals. He has been appointed as visiting professor by a number of universities including University of Malaya and Chang Gung University in Taiwan. He is a member of several international professional bodies including Asian Society of Cardiovascular Imaging, European Atherosclerosis Society and Institute of Physics in Engineering and Medicine. Diagnostic radiology, 3D image processing and visualisation of cardiovascular disease, coronary CT angiography of coronary plaques, haemodynamic analysis of cardiovascular disease, CT radiation dose optimisation. Prolific publications and serve as editor and editorial board member. Clinical research, mainly focusing on cardiovascular CT imaging. I showed strong interest in doing research, and conducting research is part of my life. Get research papers published in international refereed journals, invited to review manuscripts by esteemed journals such as Circulation, BMJ, Journal of American College of Cardiology, and invited to serve as editor or editorial board member, etc. Last but not least, research students successfully progress to complete their studies. Time management, as a lot of extra time including weekends and holidays will be sacrificed to contribute to research. To get a good mentor, setting up targets to achieve within a reasonable timeframe, and most importantly, persevere in doing research. Good question. I think I have contributed most of my time to do research, with little time spent with the family. I understand this is not healthy, however, with so much involved in research, I find it hard to balance it. I did not really have a mentor. I only obtained some guidance from my supervisors when I did my PhD in UK.